We were thrilled to be offered tickets to Lollibop. With such an amazing line up I'm not sure who was more excited to be attending, the Mini Mes or Me! We travelled via car to Edgware, parking at Sainsbury's commuter car park, and caught the train to Camden Town Station. There we jumped off and walked towards the Gloucester Gate of Regents Park and to the Lollibop entrance, which took about ten minutes by foot. Picnic in tow we arrived around 9.50 just as the event opened. There were a lot of friendly staff around to guide you to the correct queue and a great brass band playing for entertainment. We only queued for about 5 minutes and once we received our bright green wristbands we headed straight to the rear of the event to the Skylander's arena, what the Mini Mes wanted to see the most! 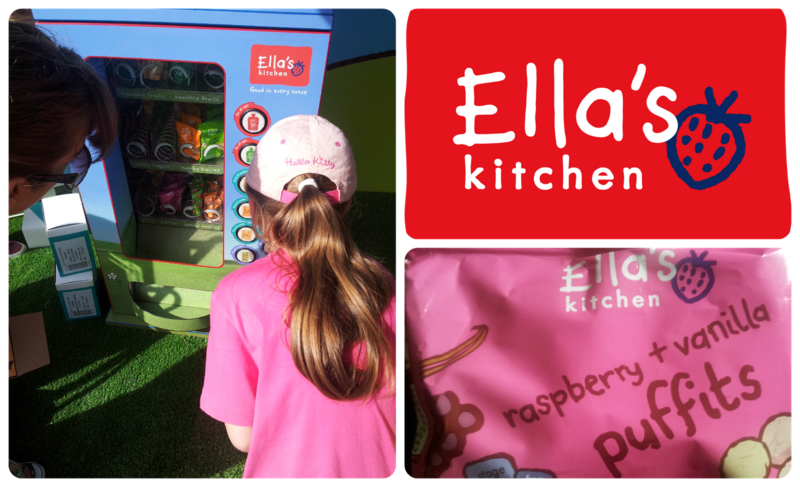 As the arena was just opening we stopped off at the Ella's Kitchen tent next door to use their new children's vending machine to pick up some free healthy snacks - yummy! The vending machine has large child friendly buttons and was packed with goodies to sample. They were handing out money off coupons too which are always nice to receive. Outside the arena was a giant Skylander which the Mini Mes had their picture taken with before heading straight inside. At this point there was no queue at all, it was still quiet and we were glad to arrive early. We received 2 wonderful bags filled with posters, stickers, tattoos, t-shirts and Dark Spyro figures to use with the game at home. The Mini Mes were thrilled! Also in the arena was the chance to play a pairs game, play on consoles, have Skylanders painted on your arm and have your photo taken and printed with a Skylander background. It was well thought out with a good layout for access. 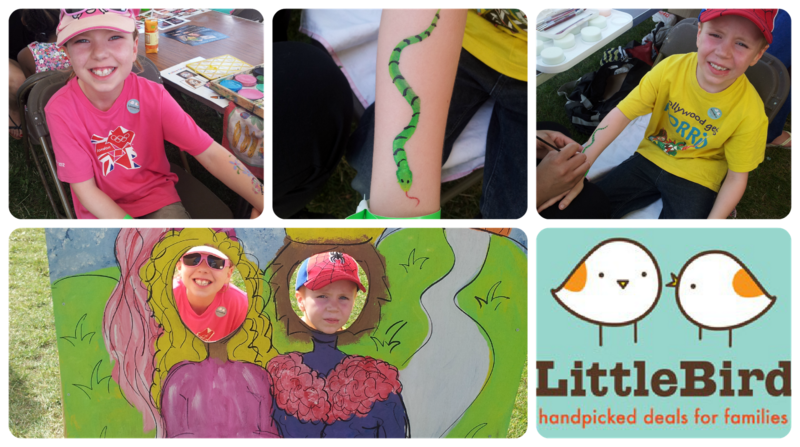 Next up was face painting sponsored by Little Bird. Again we went straight in without waiting and got seated. Jamster had a green snake on his arm, Minxy a flower and butterfly design on her arm and I even joined in too with some flowers and glitter on my face! Staff were friendly and provided information on their website, www.littlebird.co.uk , which offers family savings and deals. The Mini Mes posed for a picture as a prince and princess then we headed to the next stop, picking up some free orange and apple juice drinks from an open marquee on the way - a great idea, especially in the 30+ degree heat! 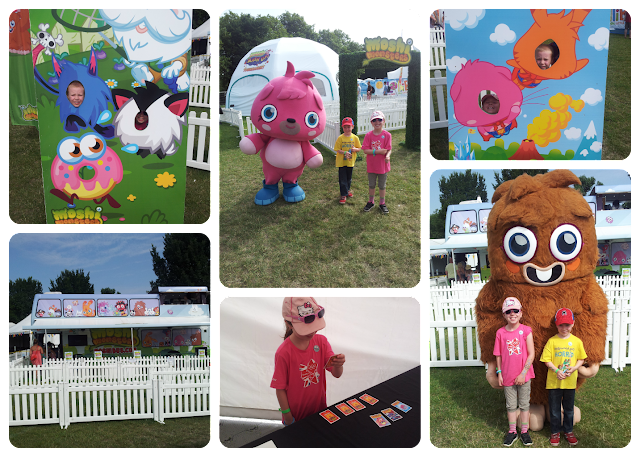 Moshi Monsters had quite a large area of the festival with the Moshi Bus Shop, picture posing stops, a mini stage for fun and games and the Moshi Monster tournament tent. Furi and Poppet were just coming out so we went for photos with the characters and then had a go in the tournament. Jamster was a bit too shy to join in but Minxy managed to get into the final. She then got knocked out with a final card turn after a match draw which was a shame, but both of the Mini Mes received some packs of Moshi Cards to take home and we managed to receive a sheet of stickers too. The staff were very patient and friendly teaching the children how to play the fun yet simple game which was lovely to witness. At this point the ZingZillas were on stage so we watched them for a while before moving on. We managed to get to the front to watch with ease and had a little dance to their songs. Everyone seemed to be smiling, enjoying the show and lapping up the sunshine and atmosphere. 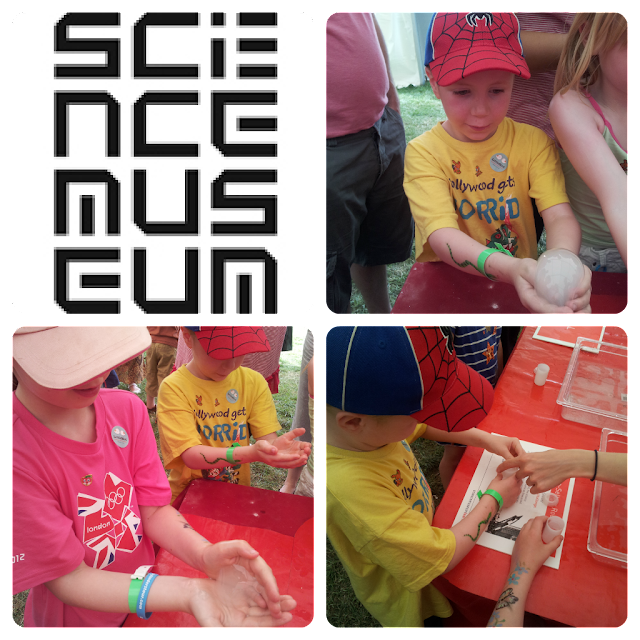 The Mini Mes love experiments, exploring and being creative so the science tent was ideal for them. They held carbon dioxide filled bubbles first and then wandered around the other desks picking up leaflets and stamps as they went. We skipped the tween workshops as it was hula hooping when we passed but everyone appeared to be having fun. We couldn't go in the under 4's area where we spotted the lovely WOW toys and other tents too. I think having a younger area is a great idea though as it gives them some space from the crowds which were now starting to form (11.25am). There were a lot of buggy bays for pit stops in the shade and the open sided marquees provided a well needed break from the sun. We went to the Flora kitchen next and luckily it was perfect timing to do some baking! 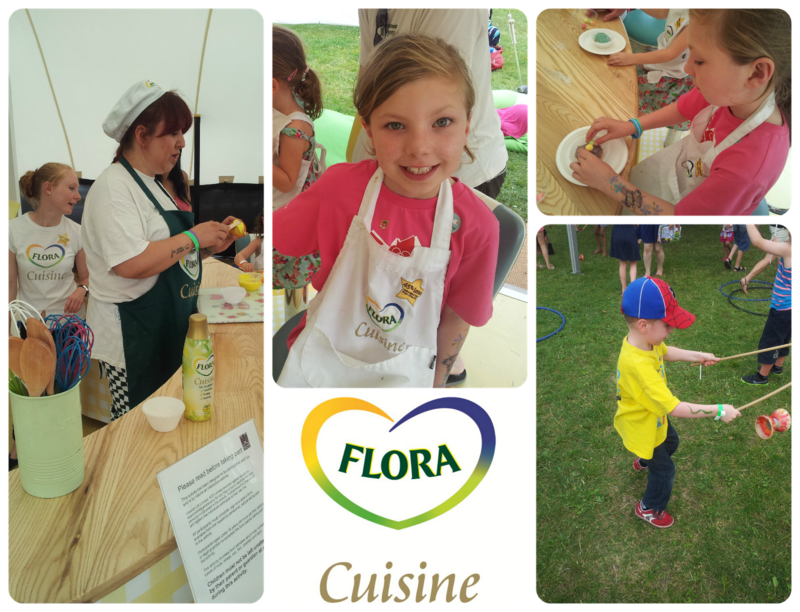 Minxy joined in, with apron and utensils provided, to make banana and chocolate muffins in a 45 minute workshop. I stayed with her while Jamster and the Mr went for a sit down on Flora's giant beanbags with some yummy roast potatoes and Thai curry before joining in with the circus skills. Jamster is quite a performing monkey! As it was now lunch and starting to rain we made our way to the Blogger Lounge for some refreshments and a quieter location to enjoy our picnic. There were scooters and Trunkis available to play on and we picked up colouring sheets, bookmarks, pencils and goody bags to take home. We spent the next few hours wandering around. We visited the Haribo tent where we played games and picked up sweeties too, we watched and controlled the fire breathing dragon, saw Titan the robot perform, saw the Transormer truck and watched some great shows on stage. Stavros Flately was really amusing, Katie and Alex from CBeebies were great with Hagrid and the Mr Men Roadshow was wonderful for the kids. At around 3pm we grabbed ice creams and headed to Mornington Crescent station ready for our journey home... the Mini Mes fell asleep as soon as we got back to the car! 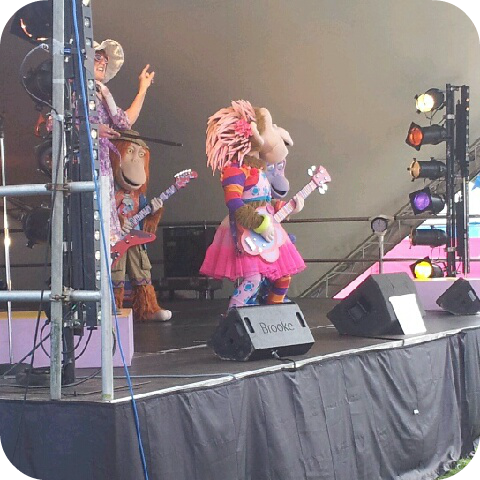 I would highly recommend going to Lollibop for a great value family day out. 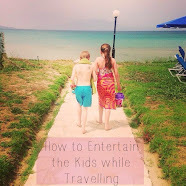 There was a wonderful variety of entertainment to suit every taste and the Mini Mes were mesmerised by being so close to the celebrities and characters that they adore. We will definitely be returning next year! I have heard of lollibop but never really knew what it was. It looks great family fun and if I lived closer would take my kids too! Wow, that looks like a great day!! Thank you for sharing at Happy Family Times!! We loved LolliBop too, I think next year when The Boy is four he'll get more out of it though. We went on the Saturday which was unbelievably hot but still very enjoyable. 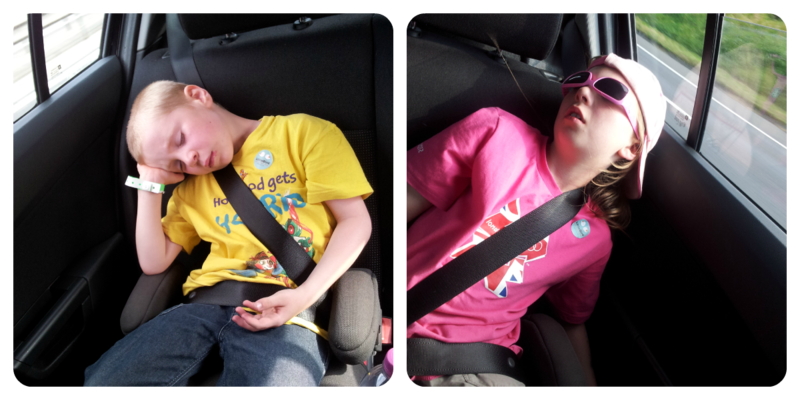 I'm not surprised your two crashed out like that; exhausting day! Come over from Country Kids btw. That looked like a lot of fun! Thanks for linking up to the outdoor play party.